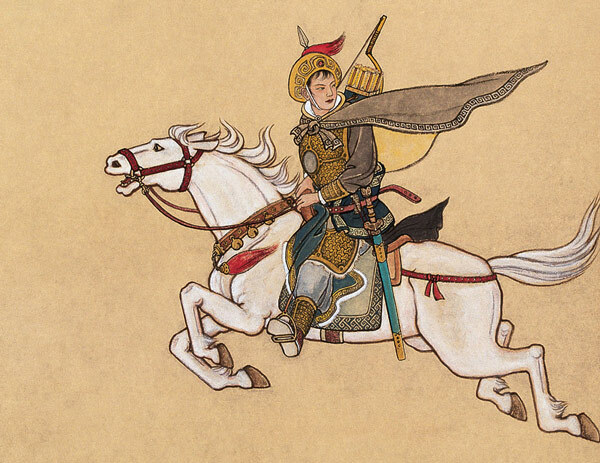 The story of Mulan, the woman who took her aging father's place in the army, does not mean what you think it means. The original character is almost completely awesome and very different from many retellings. Unfortunately, the inspiring central message of the story is a modern interpretation of something that was actually very insulting. Also, villain is less of a looming, hulking Hun, and more a bandit with a name of a spandex print. This is the story of Mulan as it was originally told. The creature of the week is why you'll want to make sure you're very drunk before going into the woods alone at night. In defense of Disney Mulan, her initial incompetence is part of her character arc. She was first to retrieve the arrow, inspiring the other recruits (who were just as much bumbling fools) to become good soldiers. Calin- Song is called Dueling Duality by Cullah.